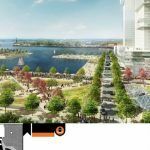 What do you get when you cross the new-waterfront nature of Battery Park City with the previous underutilization of Hudson Yards, and throw in a little Brooklyn? 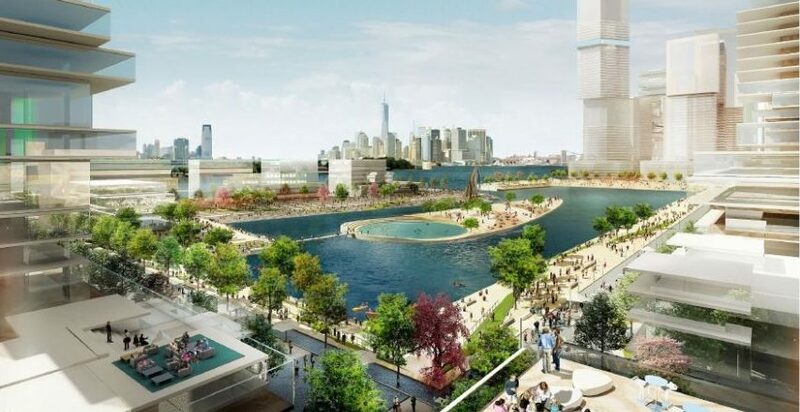 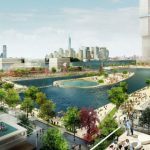 This massive proposal from big-time construction and engineering firm AECOM that would turn a huge section of the Red Hook waterfront into a residential mega-development with more than 12 towers, 45,000 units of housing (25 percent of which would be affordable), an extension of the 1 train, acres of parkland, and “waterfront-flood protections that would revitalize and protect the low-lying neighborhood from storms and future sea-level rise,” as Crain’s first reported. 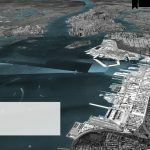 AECOM is presenting the idea today at the NYU Rudin Center for Transportation. 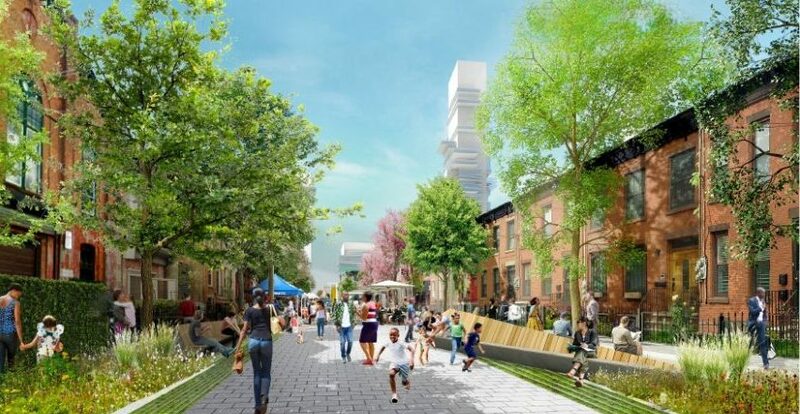 They’ve already admitted that it “lacks key details” like hard costs, but they do estimate that one of their scenarios could generate $130 million in revenue for the city. 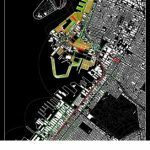 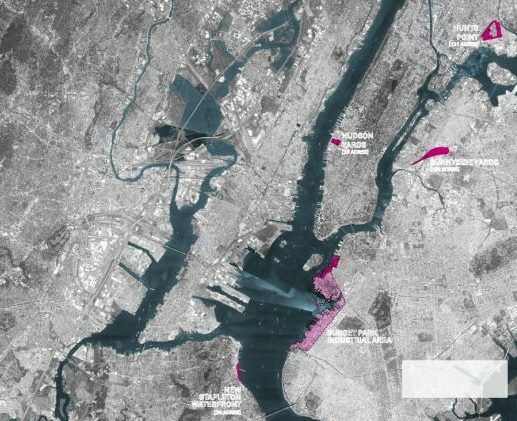 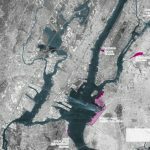 The sites in question are the 80-acre Red Hook Container Terminal owned by the Port Authority of New York and New Jersey, a similarly sized parcel along Columbia Street overlooking the Gowanus Bay that’s owned by the city, and unused land at the Red Hook Houses. 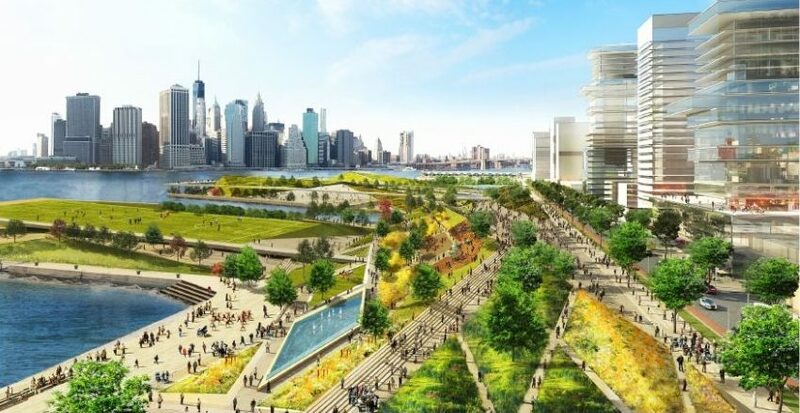 Under their plan, the sale or lease of land to developers, would fund the aforementioned infrastructure projects. 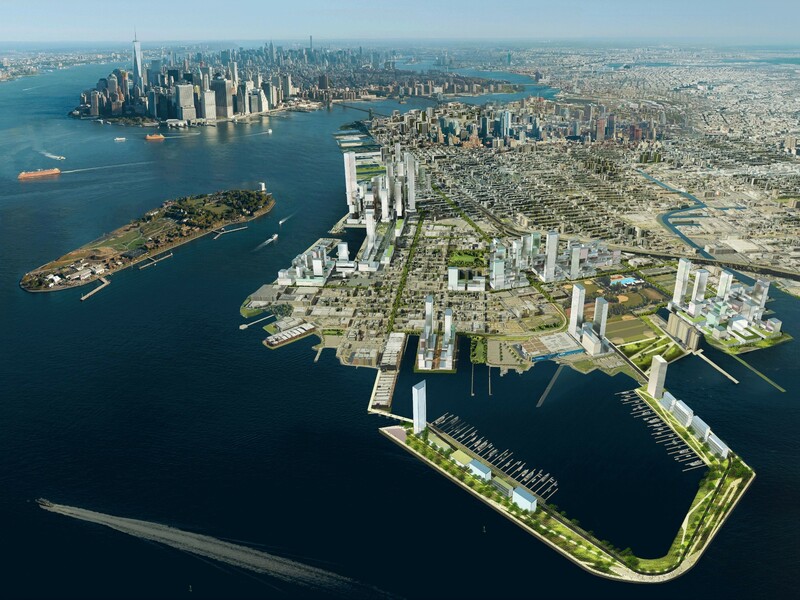 By extending the 1 train from the South Street Seaport, and thereby building a new East River tunnel, three new stations would be created–one next to the Container Terminal at Atlantic Basin, one at huge public-housing complex the Red Hook Houses, and another at Fourth Avenue that would connect to the F and G lines. 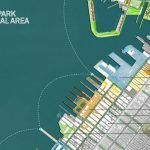 This is estimated to cost $3 billion. 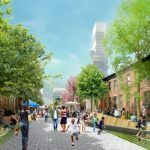 The more than 12 towers would be dispersed throughout the three proposed sites, and development at the Red Hook Houses would fund improvements to the complex (though this scheme has proven controversial recently). 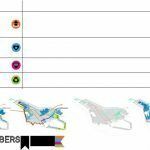 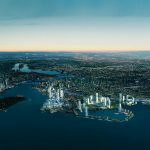 AECOM has three possible scenarios: The first calls for 25 million square feet of residential space that would fund 2.5 miles of waterfront protection measures and 6,250 affordable housing units, generate $50 million of annual tax revenue, but not cover a subway extension; The next calls for 35 million square feet of residential space that would fund 4.5 miles of protection (the entire Red Hook waterfront) and 8,750 affordable housing units, generate $90 million of annual tax revenue, and partially cover a subway extension; The final calls for 45 million square feet of residential space that would fund 5.7 miles of protection and streetscape improvements, 11,250 affordable housing units, and 100 acres of park space, generate $130 million of tax revenue, and cover most of the subway extension. 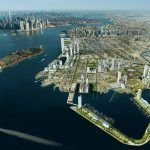 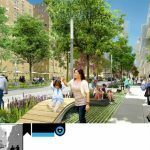 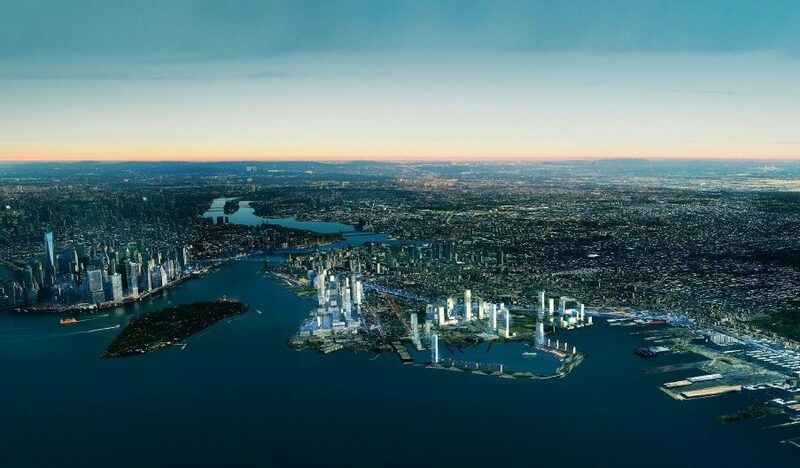 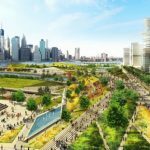 If the project moves forward it will be double the size of Battery Park City and several times the size of Hudson Yards. 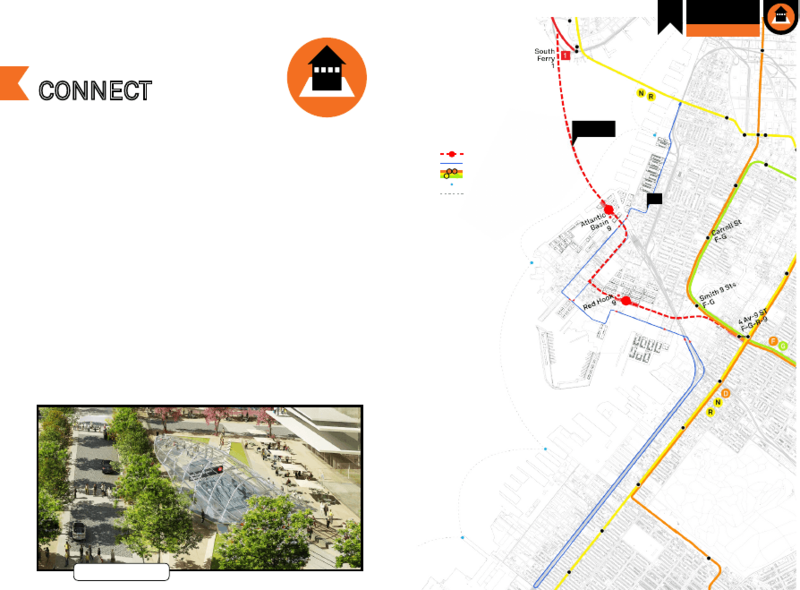 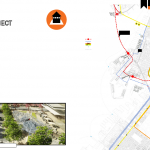 Access the complete project proposal here.